Carissa Stinson is an amazing example of the “promote from within” concept we value so greatly at Prominent. Carissa has been with Prominent since day one, originally started as an escrow assistant, and now proudly serves as our Vice President of Operations where she oversees major divisions including Banking and Compliance. 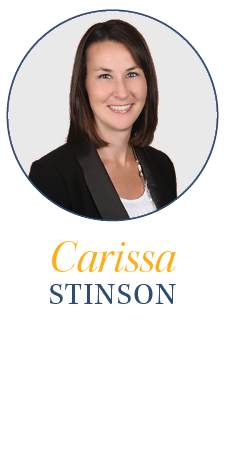 Carissa has been instrumental in helping Prominent grow its multi-state footprint while also developing and implementing policies and procedures resulting in best in class performance for our clients. Carissa is a self-proclaimed “foodie”, loves baseball (she played Division 1 Softball at Long Beach State), and has a goal of visiting every major league ballpark. Have a question for Carissa? You can find escrow information and other informative topics on our Industry Topics page.